Robi 41Tk 2GB New Internet Pack 2019 (BTRC Update)! Robi new internet offer just 41Tk for 2GB. The 2nd biggest mobile sim company in Bangladesh. 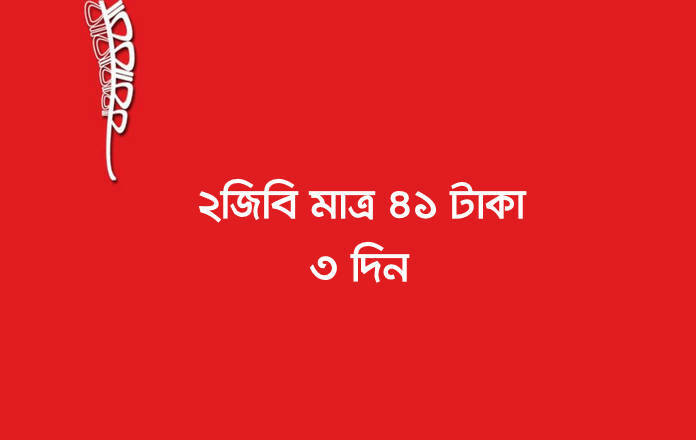 Robi new recharge Offer 2019.Bangladesh. Telecommunication Regulatory Commission (BTRC) new update the internet pack or any bundle pack minimum validity 3 days. Robi provide best internet pack from other companies, Robi perfect offer 2019, 2GB Offer validity 3 days. We always share the updated offer, Please share this post, check all details about the offer. Robi all customer can enjoy this offer. Offer started 01 February 2019. 4G, 3G, 2G network can enjoy this package. Multiple time avail this offer.